To change Local Sections, Divisions, Forums and/or Contributions, please select update on the dues page. Members-only group rates on comprehensive insurance products in the U.S.
AIChE Is Everywhere - See Why. 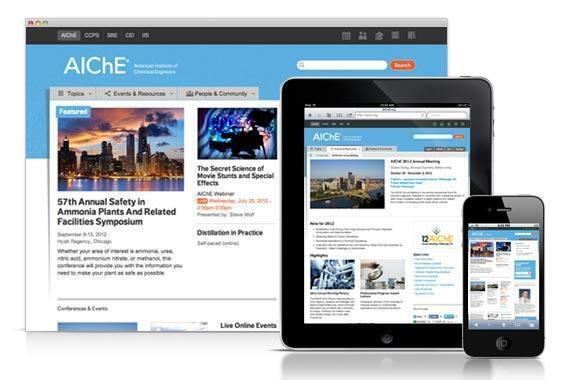 AIChE is Everywhere is a quick but comprehensive look into the American Institute of Chemical Engineers - its diversity, history, importance to chemical engineers and related professionals, and numerous membership benefits. View & Share with colleagues and potential members. If you are an undergraduate student in the U.S. or worldwide, AIChE membership is FREE, thanks to our ScaleUp Platinum sponsor Chevron, and Gold sponsors Air Products, AspenTech, Corning, Dow, DuPont, Merck, Praxair and UOP. If you are a graduate student, AIChE membership is only $50 a year.